Put on the red light! Ibiza, Friday evening, and the island is taking in a slow belly full of breath in preparation for the weekend marathon. In the holiday apartments of San Antonio and Play d'En Bossa, make-up is applied, drinks poured, pick-ups made. At the airport, the final arrivals of the day grab bags from carousels while a few hundred yards away the final private jets for the evening unload passengers with dreams of red lasers in their eyes. Whether you work on Wall Street or San An's Sunset Strip, tonight is all about Music On. 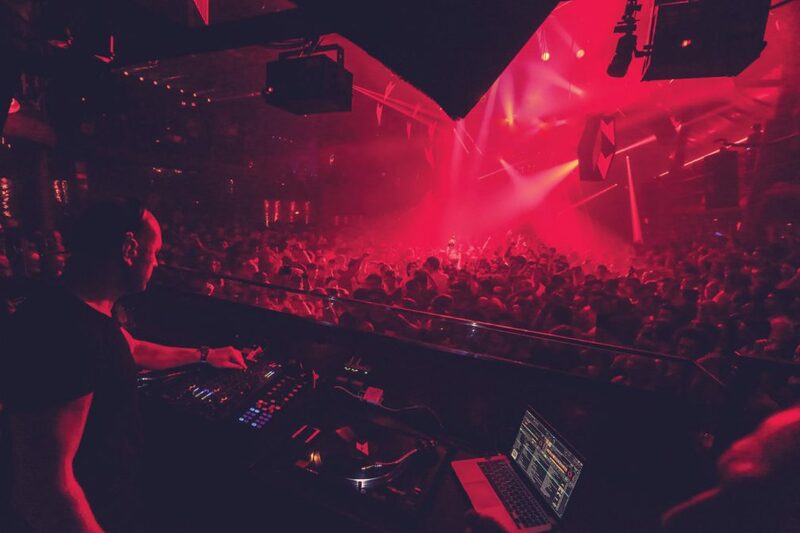 Spearheaded by Italian megastar DJ Marco Carola, from its beginning in 2012 Music On has been widely agreed by industry insiders to be one of the island's top four busiest nights. No easy feat, considering the fiercely competitive Balaeric game of thrones that the island has become. "Ibiza is a dog eat dog competition," entrepreneur Abel Matutes Junior, the son of the wealthiest club owner on the island, recently told tourism industry magazine 02B. Nowhere is that competition fiercer than on the island's club scene. Many parties have come and gone in the three years Music On has held its hugely successful residency at Amnesia. But tonight, like on every other night, Music On is a feeding frenzy for thousands of techno fans. by email and avoid controversy. In 2011, Richie Hawtin described him as a one of kind. "He used to come to our afterparties, he never played, he never even asked, he just listened and afterwards he'd make everyone incredible pasta. One day he stopped making pasta and asked to play, and that was the beginning of the Marco we know today." As ever, tonight Marco is watching the world around him intently. As he takes to the decks at Amnesia the expectation in the air is so intense it almost has its own taste. A bouncer bundles a party of VIPs into the booth while the steps surrounding it swell to capacity. Every conceivable space is full, from the huge football pitch-sized dancefloor to the upstairs VIP areas that surround it like a modern day raving Collosseum. As he plays his first track, the lights change from blue to red, the signature colour of Music On, and lasers bathe the room while the volume suddenly turns up to a chest crushing level. It's an old rock 'n' roll trick taken to heart by the big brand DJs: the boss always gets to play loudest. As he begins to lay down the foundation to his set the energy of the room notches up a level. Marco isn't one for fist-pumping or Jesus poses. Instead he lays down one bass-heavy tech-house groove after the next. His gaze is firmly fixed on the middle distance, his expressionless face focussed on the crowd in front. At home his selections might sound sparsely produced but on the big system of Amnesia they take on a whole new meaning. Claps and snares go from dry cracks to thundering crashes thanks to the cavernous room's natural reverb and punishingly loud soundsystem. It's made all the more climactic thanks to the Traktor effects and controller and guitar pedal at Marco's disposal. The breakdowns sound all the more dramatic with a bass cut, while he opens up his effects knobs and the high frequencies cascade into an ear splitting cacophony of delay and reverb. Every few tracks the ice cannons blast the crowd when the beats drop back in, submerging the dancefloor in a cloud of dry ice swathed in red, blue and purple lasers. Lighting aside, the aesthetic is stripped back, simple.